Hello everyone and thanks for stopping by for a visit! I hope your weekend is going well for you. If it has been anything like mine, it's just over much too quickly and Monday rolls around again before you know it! After printing out the info, I used "Labels 17" to cut out the invite and spritzed it with some Glimmer Mist in "Almost Black". Thanks again for stopping by! I always look forward to your visits and wonderful, kind comments! Enjoy what's left of the weekend and I'll be seeing you soon! Those are absolutely perfect! 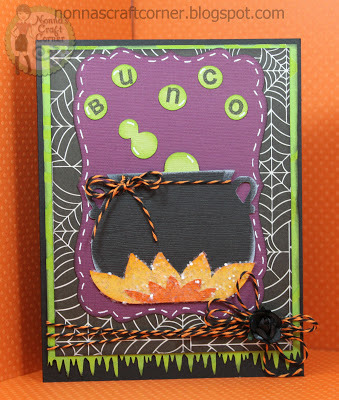 I used to play Bunco when I first moved to my current city with a newcomers group. It was a blast! Those invitations are just perfection!! 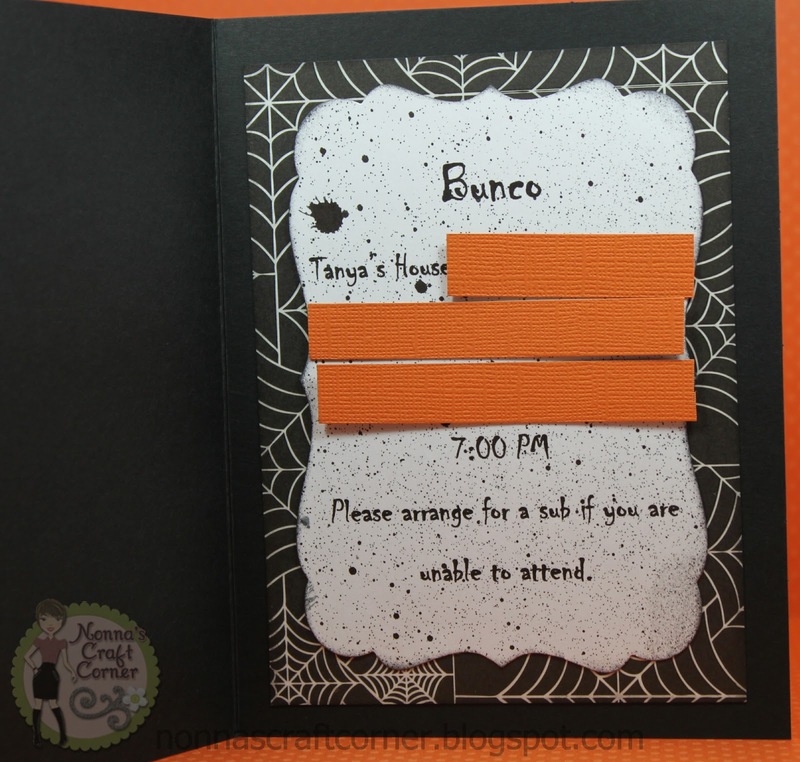 LOve your invitations Tanya,the cauldron is fab. Love your invitations! Your party is going to be fabulous! WOW this looks AWESOME!!! Great use of the TT too. I just love the bright colors and those are wonderful invitations!! Such cute invites!! love the colors and how you made the bubbles of the cauldron spell Bunco. The spritz paper inside looks great. Adorable invites. Great colors and the images are way too cute. These are so super cute...I want to go to the party! These are so fun for a bunco invite! These are so cute. Sounds like a lot of fun. 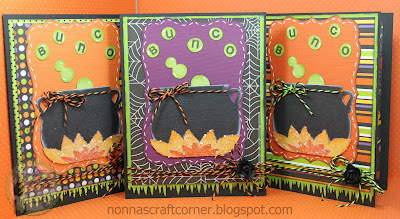 Super cute invites! you did a fabulous job and I just loved your magic potion bottles as I am sure the ladies did as well:) So fun and festive! Love this! Tanya ~ OMG!! How CUTE are these!! I LVOE them!! Well I have to say I have never played the game! I wish I knew how! Ibet these wonderful ladies just ADORE you and yoru creation! Seriously ~ the details are simply AMAZING!!! How fun Tanya! 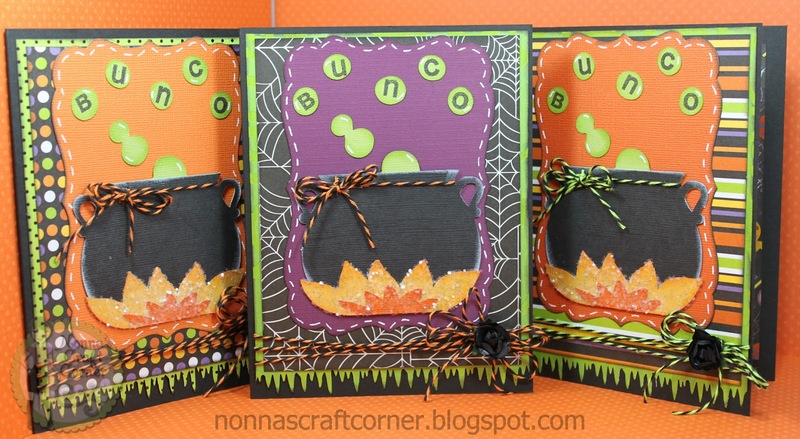 What great invites, I love the mist it adds a spooky touch and the flames under the cauldron look awesome!! Very cool invite, Tanya!!! :) Wish I lived closer! ;) I used to love my monthly bunco (before we moved out of state).